The SPARC new imaging mode, time-resolved cathodoluminescence imaging, can be extremely valuable for a large range of applications. 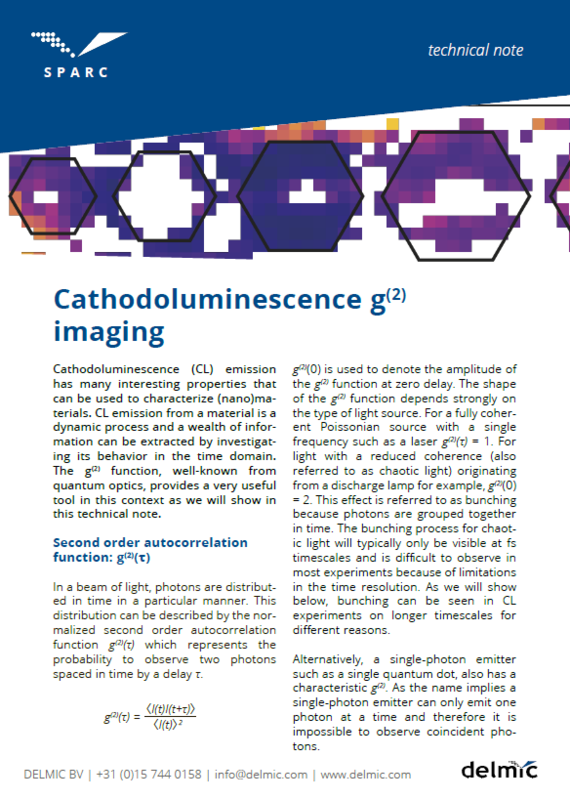 CL g(2) imaging can be used to identify and characterize single-photon emitters at the nanoscale. To learn more about it, please submit your information using the form on the right. After submitting your information, you will be redirected to another page with a link to the PDF file.